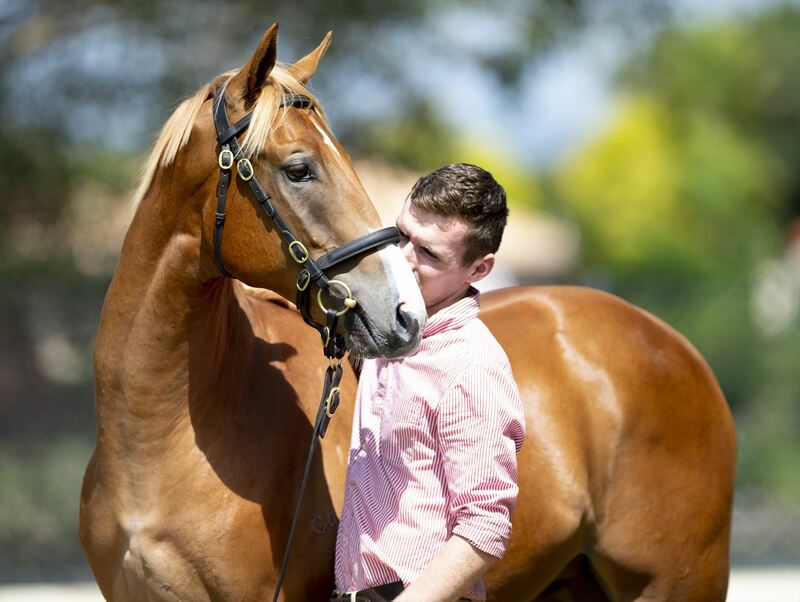 We are extremely excited to offer this colt by the record-breaking Champion Sire Snitzel. 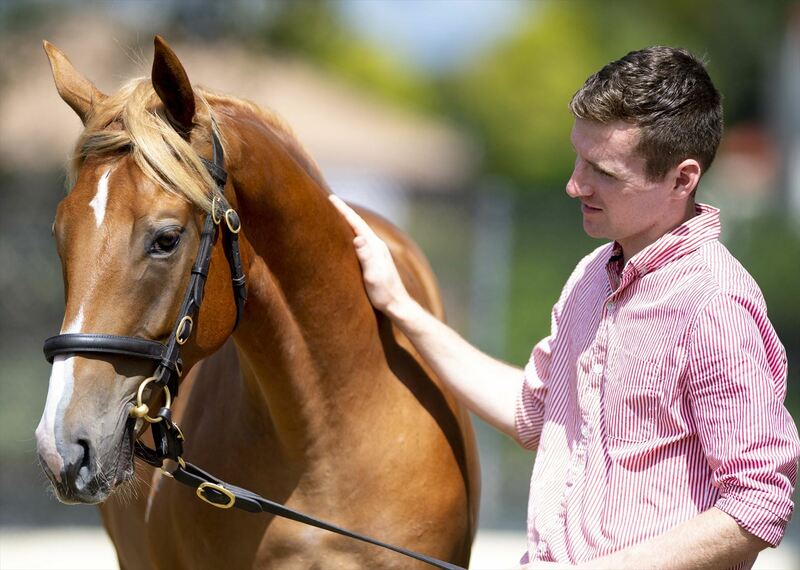 After having the season record for two-year-old winners and prizemoney and finishing in the number one spot on the General, Two- and Three-year-old Sires premiership in 2017/18 Snitzel is already on track this season to break his own records. 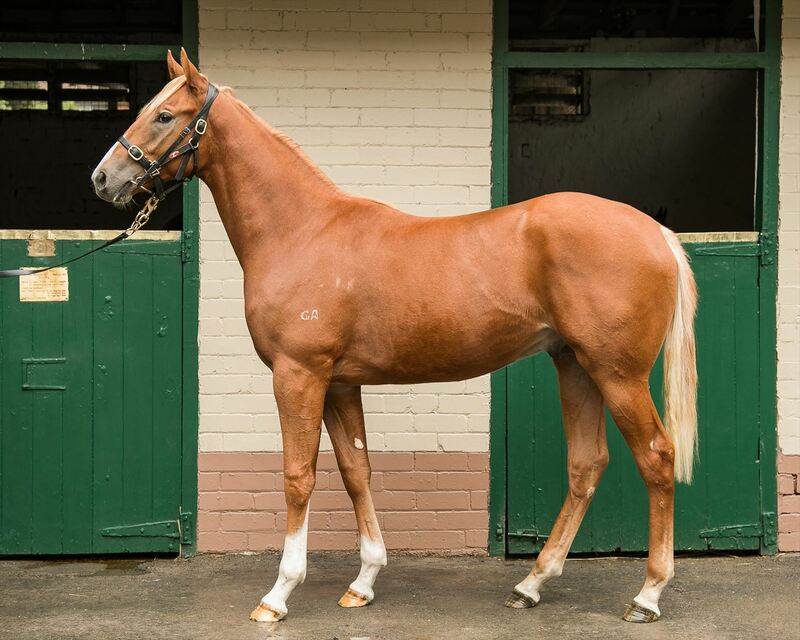 By the king of Australian sires in Redoute's Choice, Snitzel runs at an exceptional 10.8% stakeswinners/runners. 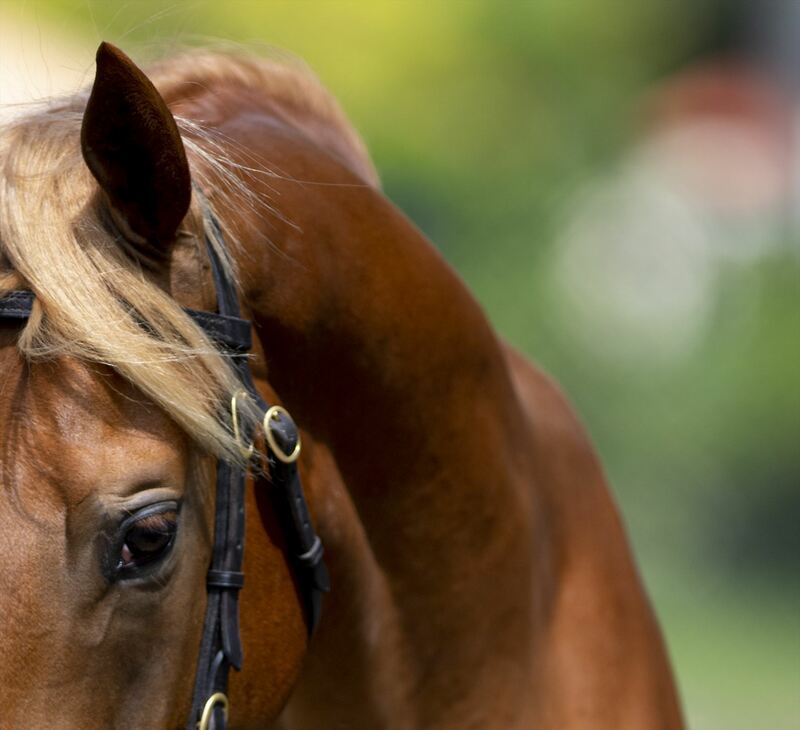 An exceptional sire of juveniles, Snitzel is also an extremely versatile sire with nine of his thirteen Group One winners winning their Group Ones at three, four, five and six. A sire of sires, including our very own Wandjina, Snitzel continues to deliver top performers season after season and this is an exciting opportunity to get involved in a cracking colt by the Champion Sire. This colt is out the dual winner Bourgogne, a half-sister to the talented Group One winning and Group Two producing mare Bulla Borghese. A black-type producing mare, Bourgogne is the dam of four winners including two stakes horses in Lizard Island, runner up in the Group One Caulfield Guineas and two-year-old stakes placed mare Fairy Star. This colt's granddam is the very well related Fionnay who herself is the dam of VRC Oaks winner Bulla Borghese and listed winner Cresta Run. Bulla Burghese was not only an exceptional racehorse but is also the dam of two-year-old Group Two winning and Group One placed mare Bound For Earth and two-year-old Group Two winner Calliope. 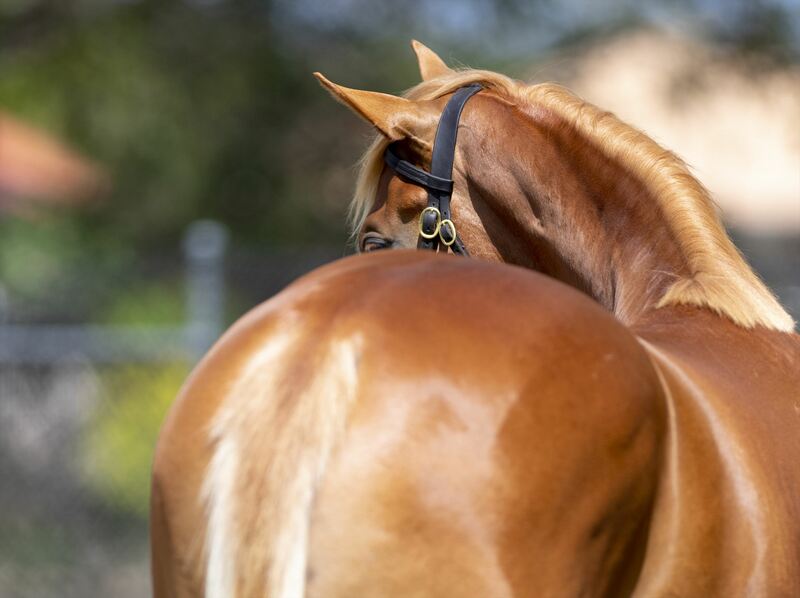 By Champion Sire Snitzel and from a line of extremely talented racehorses, this half-brother to two stakes horses has everything going for him. SNITZEL (AUS) (Bay 2002-Stud 2006). 7 wins-4 at 2, MRC Oakleigh P., Gr.1. Champion Aust. Sire twice. Sire of 968 rnrs, 721 wnrs, 89 SW, inc. Trapeze Artist (ATC TJ Smith S., Gr.1), Shamus Award, Estijaab, Redzel, Summer Passage, Invader, Russian Revolution, Hot Snitzel, Sweet Idea, Sizzling, Snitzerland, Wandjina, Heavenly Blue, I Am Excited, Spill the Beans, Menari, Showtime, Snitty Kitty, Thronum, French Emotion, Time for War, etc. Lizard Island (g by Sebring) 2 wins at 1600m, A$479,125, to 2017-18, MRC Ern Jensen Funerals H., Pakenham RC Evergreen Charity Raceday P., 2d MRC Caulfield Guineas, Gr.1, Caulfield Classic, Gr.3, VRC Anzac Day S., L, Pin & Win S., L, MRC Thanks & Farewell Mike Symon H., Robert Taranto 2YO H., 3d MRC Willhillwolfpack P., 4th VRC CS Hayes S., Gr.3. Markle. Winner at 1400m in 2018-19 in NZ. Queen of Eight (f by Haradasun) 5 wins from 1300m to 1600m, A$91,445, TTC Bill Playsted Apprentice Trophy H., 2d TTC Veolia Environmental Services H., TRC Galway H.
Californiagrandcru (g by Sebring) 2 wins at 2400m, 2550m to 2018-19, MRC Clanbrooke Racing H., 3d MRC Mypunter.com H., Blue Star Print Group H.
Alpha Auriga (g by Northern Meteor) 10 wins from 1100m to 1800m, A$123,124, to 2017-18 in Aust. Cracksman (c by Zoustar) Champion 3YO in GB in 2017. Placed at 3 in 2018-19 in Aust. BOUND FOR EARTH (f Northern Meteor) 2 wins-1 at 2-at 1200m, 1250m, A$348,555, ATC Furious S., Gr.2, Australian Turf Club 2YO H., 2d ATC Darby Munro S., L, 3d ATC Flight S., Gr.1, Tea Rose S., Gr.2, BRC Sires' Produce S., Gr.2, Dane Ripper S., Gr.2, Scone RC Dark Jewel Classic, Gr.3, 4th Qld Tatt's RC Tattersall's Tiara, Gr.1, MRC Angus Armanasco S., Gr.2, ATC Birthday Card S., Gr.3, MRC Kevin Hayes S., Gr.3. Romanus (g Encosta de Lago) 4 wins-1 at 2-at 1200m, 1400m, A$271,795, STC North Ryde RSL 2YO H., ATC Edmen Community Staffing H., 2d ATC Rosehill Gardens H., Foundation Membership H., Bar 100 H., AJC Flinders Lane H., 3d AJC Skyline S., Gr.3, STC Rosebud Inglis Bonus H., Schweppervescence H., ATC Inglis $2.6 Million Race Series H., Sydney Banana Wholesalers H., Grand Pavilion H., 4th STC Pago Pago S., Gr.2. CALLIOPE (f Exceed and Excel) 2 wins at 2, A$202,000, ATC Magic Night S., Gr.2, Gimcrack S., L.
Thalia (f Medaglia d'Oro) Placed at 2 & 3, 3d VRC Thoroughbred Breeders S., Gr.3. Cresta Run (c Commands) 3 wins at 1400m, A$230,290, AJC Ho Ho Ho H., STC AAMI Golden Slipper Day H., 2d AJC Sydney City Lexus P., 3d GCTC Magic Millions 3YO Trophy, RL, AJC Thrifty 2YO H., Yosica Dairy Group 2YO H., STC BP Woodward & Associates 2YO H., Inghams Love 'em H.
Wonderful You (g General Nediym) Placed at 2, 2d BRC BJ McLachlan S., L.
Wedgetail (g Foxwedge) Placed at 2 in 2018-19, 2d MRC Ladbrokes 2YO P., 3d MRC Debutant S., L.
Astaire (g Groom Dancer) 6 wins from 1600m to 2150m, NZ$101,412, ARC Dunstan Feeds H., Avondale JC Boyle Mathieson H., ARC Ecolab Ecosafe H., 3d ARC Mitchelson Cup, L.
Ascolini (f Bertolini) 3 wins from 1200m to 2300m, Manawatu RC Richard Algar H., 3d New Zealand St Leger, L, Wanganui Cup, L, Hawkes Bay BBI Stayers H. Producer. ATLANTIS DREAM (f Elusive City) 6 wins from 1200m to 1600m, A$392,737, SAJC Queen of the South S., Gr.2, VRC Leilani Series Final H., MRC Lister H., 2d SAJC Queen of the South S., Gr.2, VRC Flt Lt Peter Armytage H., Ross Stevenson Trophy, MVRC Advanced Mailing Solutions H., Sportingbet H., 3d MRC Ladbrokes Odds Boost H., 4th SAJC RA Lee S., Gr.3. ST GALLEN (c Decies) 13 wins from 1200m to 2200m in NZ and Malaysia, Singapore Gold Cup, L, Penang TC Yang di Pertua Negeri Gold Cup, L-twice, Penang Sprint Trophy, L, 2d Singapore TC Pesta Sukan Cup, L, Singapore Derby, L, Perak Derby, L, 3d Singapore TC Queen Elizabeth II Cup, L.
ANDERMATT (c Amalgam) 8 wins from 1200m to 2400m in NZ and Malaysia, Selangor TC Piala Emas Sultan Selangor, L, Penang Sprint Trophy, L, Singapore Derby, L, 2d Singapore TC Queen Elizabeth II Cup, L-twice, Perak Derby, L, 3d Penang TC Yang di Pertua Negeri Gold Cup, L, Selangor TC Piala Emas Sultan Selangor, L.
OKIWI BAY (g Kinjite) 7 wins from 1200m to 2400m, NZ$180,338, A$4,900, Waikato Gold Cup, Gr.2, ARC Austral Chartering P., Graeme Thomson Antique & Estate Jewellery 3YO H., Counties RC Franklins Bathroom S., Waikato RC Perrinpark Retirement Village H., Counties RC Patumahoe Rugby Club Syndicate H., 2d BOP RC Kiwifruit Cup, L, 3d Waikato RC Forest Lake Gardens H., L, 4th ARC Cornwall H., Gr.3, Lindauer Grandeur S., Gr.3, Mitchelson Cup, L.